Professional Bloggers Offices has always been an element of inspiration for new bloggers on to setting up their own home offices. Majority of people who are into blogging don’t know that when they create an office like atmosphere it makes you feel work more and more. Those days of working 9 to 5 kind of environment has been replaced by work when ever you feel like kind is being developed these days. Most of the professional bloggers who make handsome money these days work not more than two hours. When it comes to an online millionaire the first name that comes to most of the already existing bloggers is Pat Flynn. This guy is really an awesome blogger, entrepreneur, author of few successful books and above all a podcaster whose episodes are worth million dollars. His online strategies are being explained well in Smart Passive Income, a blog where he conducts income experiments and shares the results. He is famous for posting his monthly earning report which itself is a great source of income where he show cases a list of affiliate programs through which he makes money. Below is his office from where he writes and edits the articles which his hired employees write. Shoemaker if you know already is a blogger with his famous blog namely Shoemoney. If you are aware of this guy you might also be aware of a Google Adsense cheque of $132,994.97 for a month which he posted years ago and became so popular, this photo gets lots of clicks even today. ShoeMoney’s blog was named Best Affiliate Marketing Blog of 2006 by Search Engine Journal. You can look at Jeremy in the below picture working in his home office. John Chow is a Chinese born American blogger who is famous for making his online presence felt in just two years by scaling his blogging business from almost zero to over $3000 a month by working just for two hours a day. Most of the bloggers who know him closely say John means Business and he wont waste much time with interviews or any other stuff. You can look John smiling with his mouth wide open in his home office. Isn’t he an example of a guy who works in his bath robe and yet makes huge every year. Those who are passionate about giving a classy look to their blog or their website might have surely tumbled on this guys blog. Chris is a writer at CSS Tricks a blog dedicated only for CSS Tips and tricks. His recent venture Codepen too is one from among his designing space which also got seed fund for its development. Look at Chris Coyier’s office setup in his sweet home. Zac Johnson is a well known entrepreneur and online marketer with nearly 20 years of experience and helps others do the same through ZacJohnson.com. His blog contains almost 1,000 original and real life experience based articles on how they make money. 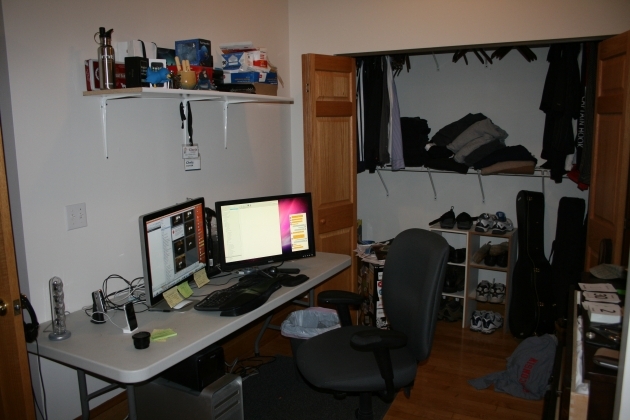 Look at his home office how simple it is and of course its the main weapon behind his online wealth which has been generated over these years. John Lee Saddington a blogger by profession and an entrepreneur who says has failed many times but has good experience of establishing a company and selling it too. He also built a small, indie piece of OS X software called Desk which was awarded “Best Apps of the Year“ for successive years 2014 and 2015. Look at how his cute office looks like, Isn’t it good enough to be in the list of Professional Bloggers Offices. Christopher Joseph “Chris” Pirillo is the founder and CEO of LockerGnome, Inc., a network of blogs, web forums, mailing lists, and online communities. Pirillo ran a 24/7 live video feed from his home office via Ustream until April 23, 2013. His streams, now broadcast live on YouTube, focus on software, hardware, news, reviews, computers, iOS applications, operating systems, gaming, and other technology-related topics and events. See his office from where he does all this stuff. J. Michael Arrington is the American founder and former co-editor of TechCrunch, a blog covering the Silicon Valley technology start-up communities and the wider technology field in USA and elsewhere. All tech enthusiasts and bloggers always dream of making their blog as big as TechCrunch. Magazines such as Wired and Forbes have named Arrington one of the most powerful people on the Internet. In 2008, he was selected by TIME Magazine as one of the most influential people in the world. You can have a sneak peak of how he works in his office while playing with his dog. Yaro Starak the founder and writer of Entrepreneurs-Journey.com. You will love his blog if you are interested in knowing how people make money online. If you are devoid of ideas then Yaro’s blog is the perfect place to start with. Yaro also writes about the places which he traveled to change his readers mood now an then. Couldn’t get a full view of his office but just a pic of his desktop. Arianna Huffington is a Greek American author, syndicated columnist, author of fifteen books and occasional actress. She is the co-founder and editor-in-chief of The Huffington Post. In May 2005, she launched The Huffington Post, a news and blog site that quickly became one of the most widely-read, linked to, and frequently-cited media brands on the Internet. In 2012, the site won a Pulitzer Prize for national reporting. Look at the picture below on how her cabin in her office looks like. He is the author of 18 books that have been bestsellers around the world and have been translated into more than 35 languages. He writes about the post-industrial revolution, the way ideas spread, marketing, quitting, leadership and most of all, changing everything. His blog (which you can find by typing “seth” into Google) is one of the most popular in the world. See how his office looks like in the below picture. Rand Fishkin is the co-founder and co-author of most widely read SEO blog Seomoz which was later renamed to Moz. He served as the CEO for Moz for 6 years starting from 2007 to 2013 and he is now an individual contributor. You can look at the office of this SEO guru in the following picture. 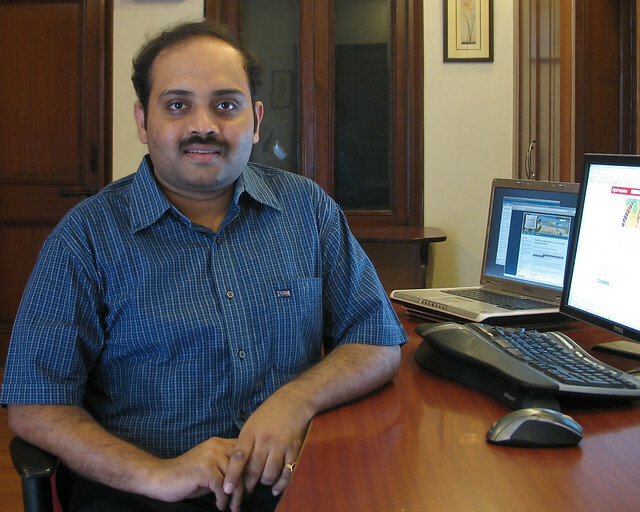 In 2004, Amit quit his job to become India’s first and only Professional Blogger. He authors the hugely popular and award-winning Digital Inspiration blog where he writes how-to guides around consumer software and mobile apps. Below is a picture of his office. If you have some time visit his YouTube videos where you can have a complete view of his office. His office does deserve a place in the Professional Bloggers Offices list. Joshua Ryan Topolsky is an American technology journalist. He is also a record producer, drummer, and DJ under the stage name Joshua Ryan. He is the co-founding editor of The Verge a most popular technology blog He also recently took position as head of digital at Bloomberg. So here’s how his work space looks like and made it in the list of Professional Bloggers Offices here. Mohammad is among pioneers of blogging world with one of the most successful blog My Blogger Tricks. He is an experienced SEO Consultant, Computer Engineer, Public Speaker and an addicted Web Developer. I stumbled across the below picture when I visited his blog and thought of sharing it here in the list of Professional Bloggers Offices. Inspirational post, especially the last one using free blogging platform. I’ve visited mohammad mustafa’s office last month, and his office situated in an amazing area. i wish to make an office in that kind of peaceful place.